1. What makes my campus unique? My campus- Faculty of Mangement Studies has been located in New Delhi. It is an abode of unique culture and environment. It is called as Red building of dreams. Though it is a small campus, the building truly represents the dreams of many students who aspire to be future market leaders. This is emphasized by the bright red colour of the building. The campus has all facilities incorporated within a small area -this is a unique feature of my campus. Every corner of the building sends the vibrating message that you are here to succeed. This red building is my dream and when I entered the campus, I am overwhelmed by its uniqueness. 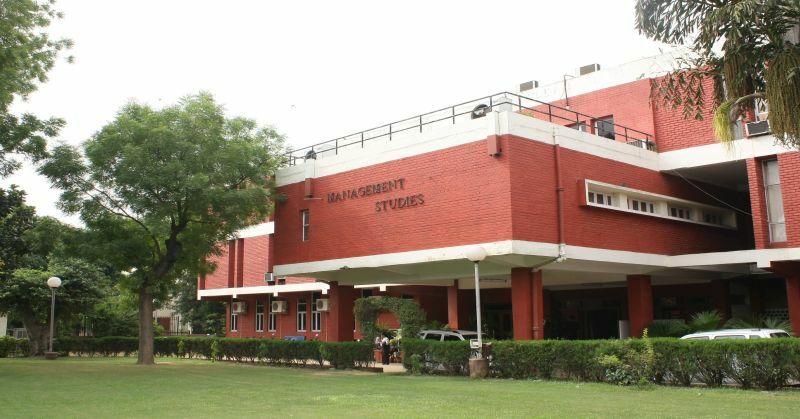 The campus also carries its own flavour of the culture of Delhi University. Unlike another campus, the greatness of this campus does not lie in the magnificent buildings or the overwhelming facade. Its uniqueness lies not in the bricks but the soul it carries. It lies in the people- the ever supporting faculty, the students and the other people who work here. From the watchman to the Dean everyone greets one another with a smiling face and respect. These smiling faces make you feel at home. Every person here complements the other with support and encouragement. The ambience here has a magic in it. It makes you feel responsible .The small campus knits everyone together into a small family. It re-emphasizes that “small is beautiful”. It is never short of any facility.Think of something and you can find it here. It teaches you to make best out of what all the resources you have. It is a perfect example of sustainable living. This campus also has a great history and tradition. My campus is not made of bricks but by people and there lies its uniqueness- a family sharing their dreams. 2. A memorable classroom experience in my B-school. The classrooms in FMS has many beautiful memories and they have many stories to tell. The first day of my class is the memorable moment for me. I am very tensed and at the same time excited about the first day. I reached the class much earlier at 8 a.m. The climate is so cool and the first day experience is giving me vibrations across the body. Students started coming one by one. Every student is a stranger but the smiling faces gave a feeling of familiarity. I started feeling comfortable. The professor came to class exactly at 9 a.m. I heard that professors are very punctual in FMS but now I got to understand why they say it. The class started with introduction and students started introducing oneself to the whole class. Everyone has a different background and exclusive stories to start. The professor then started the course. WIthin a few minutes, I got a glimpse of his deep knowledge and expertise which is earned with many years of experience. All other classes followed the same trend but each class has its own flavour and distinctness. I was overwhelmed by the whole experience. I made new friends. I felt like I am starting a new life, a new beginning. I am sure that these classrooms of FMS will play a major role in my life. 3. Introducing some of my crazy batchmates. Reshma- She is from Kerala and has a own sense of maturity. She is a person who stops and thinks. She is caring and every time I have a decision to take, she is always behind me.